Planning a wedding is stressful, it brings out the perfectionist in you. Brides to be and wedding planners know exactly what we’re talking about. What if one task of your endless wedding ceremony list was cut down? Sounds like a dream doesn’t it? The cakes at Marzipan taste the same way – Like a dream. The Grand Italian and French restaurant have always been innovative with their cuisine and their dessert bar is a delectable treat for your eyes. The most recent addition to the restaurants’ exquisite menu and services are the extraordinary wedding creations. The impeccable wedding cakes are brought to you by the master confectioner at the Elite Resort & Spa and Marzipan – K.B.S Jayasuriya. 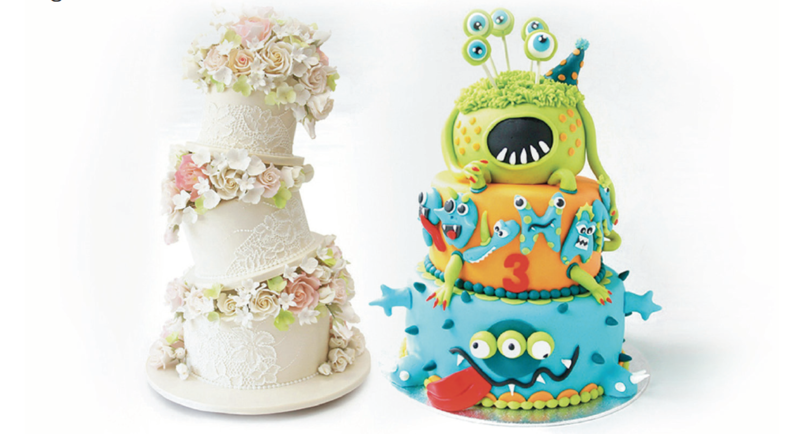 Each cake is made with such finesse and expertise you wouldn’t feel like slicing the cake. But of course, the rich, decadent flavors are way too hard to pass on. With a range of 8 incredible flavors to choose from, no other cake shops stand in the way. You can choose from a variety that features frozen cakes like the Mango Ice cream cake, Chocolate Ice cream cake and the Vanilla Ice cream cake or more traditional but innovative chocolate options such as a wonderfully indulgent Chocolate cake, A Chocolate mousse cake or a Pistachio Chocolate cake and classic cheesecake options such as a fabulously light Strawberry cheesecake and a stunning New York cheesecake. Is it okay to marry somebody just to have a wedding cake from Marzipan? Probably not. But for the fortunate ones out there you now know the place to select the perfect cake. Posted in Dining, Features, Going out, I want! Ladies, let loose at The Gulf Hotel’s amazing ladies’ nights!